Not sure about your account credentials? 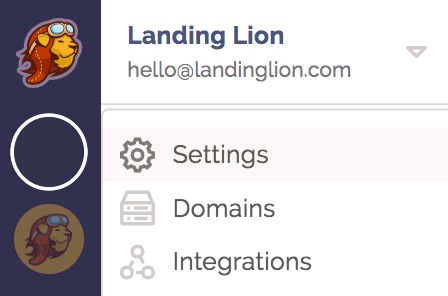 Read about the different types of users in Landing Lion here. Hover to the right of each workspace card and click "Archive" to deactivate the workspace. ⚠️ NOTE: Data that belongs to a deactivated workspace is subject to permanent deletion after a short period of time. Change your mind? Simply click the "Restore" button to reactivate the workspace. ⚠️ NOTE: Adding and deactivating workspaces may affect the charges on your subscription plan. For example, say you are on the Growing plan and purchase an extra workspace. If you decide to deactivate this extra workspace, you will not be charged on the next month's bill. 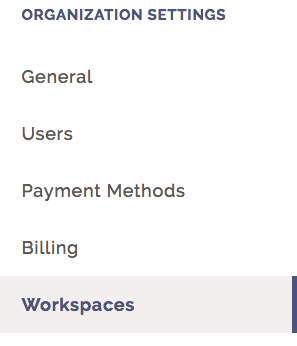 To see how this will affect your bill, go to the "Billing" section under "Organization Settings".